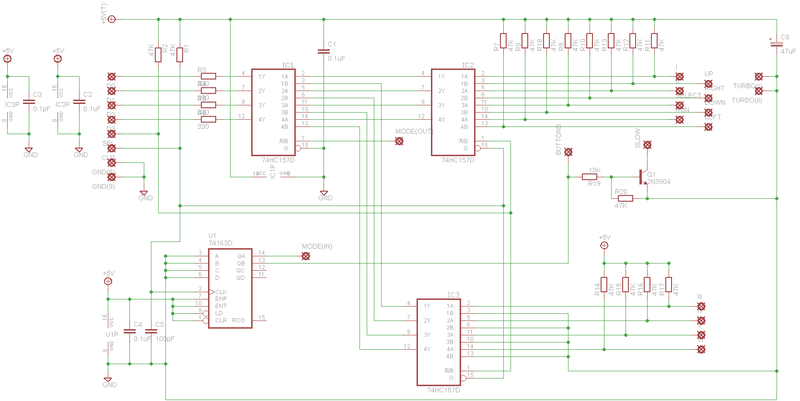 I'm trying to build a 6 buttons stick using Emanuele Bettidi schematic. I remade it under Eagle (link). Here's an image export is you don't have Eagle (link). Please let me know if I made any mistakes. 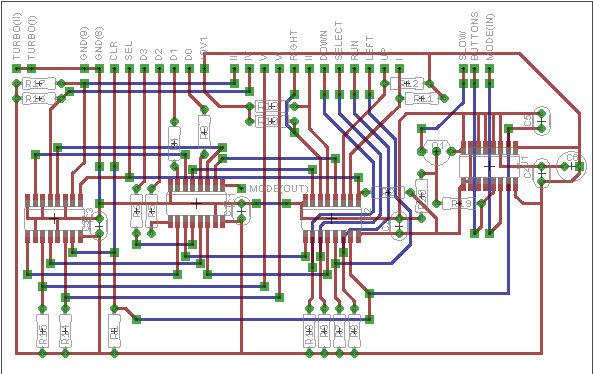 you could simplify the circuit by just using a microcontroller to do everything directly. it would be a much simpler design and cheaper. Anyway, I found some errors in the schematics. I also did a board layout. It's not the final version. The 2nd layer is ugly and some paths can be optimized. But it will be enough to run some tests. Here's the version without auto-fire. I'll try to solder a prototype in the next weeks. Here's a little 3d render of the card I did with this online 3D gerber viewer. Looks nice. Did you ever put it into an arcade stick? Maybe I'll take the lazy path and buy one. 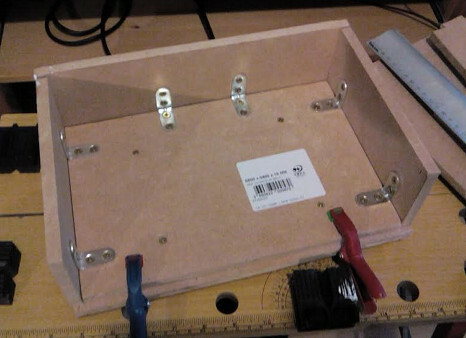 I finally started working on the case. 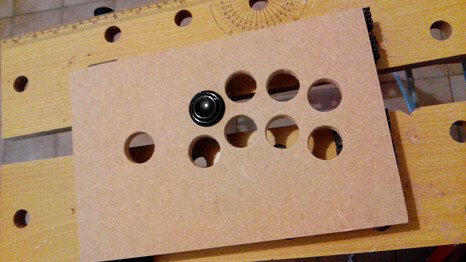 It's basically an article about how to make a 6 buttons arcade stick for the PC Engine.